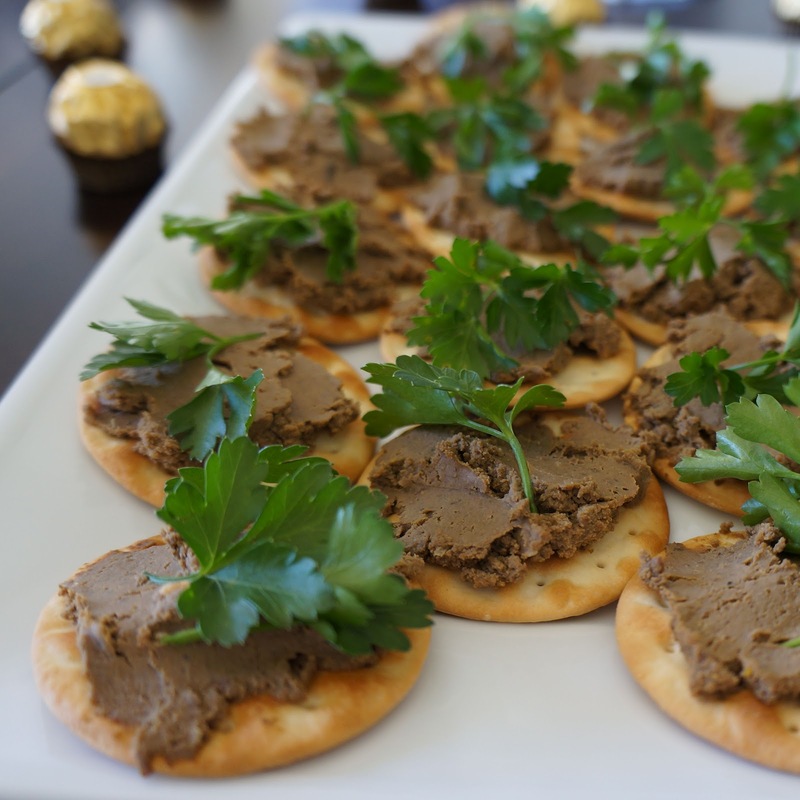 The first time I made beef liver pâté, it was such a success I decided to make it again but with a few tweaks in the recipe. I think I like this recipe even more. In a large saute pan or skillet, melt 3 tablespoons of the butter over medium-high heat. Add the onions and cook, stirring, until soft, about 3 minutes. Add the garlic and cook until fragrant, about 30 seconds. Add the beef livers, 1 tablespoon of the peppercorns, the bay leaves, thyme, salt, and pepper and cook, stirring, until the livers are browned on the outside and still slightly pink on the inside, about 5 minutes. Add the Vodka and cook until most of the liquid is evaporated and the livers are cooked through but still tender. In a food processor, puree the liver mixture. Add the remaining butter in pieces and pulse to blend. Adjust the seasoning, to taste. To serve, spread on water crackers and garnish with parsley.